Security issues on the webserver host have affected some webpages of this site during April 2010. FTP services for this site on the 12th of April were affected – and have remained denigrated due to a high level of activity on this site web server host. Minor Issues found from the affected pages has led to a paranoid level of upgraded security for PHP content management systems used by this site. Downloads and other functions of the site, or its host have not been affected but will remain under consistent re-testing. Past versions of KitCAD software packages have always supported simple Integer numbers (1,2,…,9,0) that are processed with Cutup.exe into Floated numbers (if required 16.5mm, 1.5mm, etc). KitCAD i3 KGC now includes a basic option to view Decimal Fractions (and provide simple corrections). The Fraction Display unit functions can be enabled from the Options page. Setting the Display of units to Fraction will convert sizes into Inch”Numerator/Denomator. Setting the Display of units to Fraction2 will convert sizes into Feet’Inch”Numerator/Denomator. The default Setting is Decimal will NOT convert sizes provided by a *.kp2 file format. No Library System has been developed for Decimal Fractions at this time (As a result the quotation reporting will only show Millimetres). A library system will be developed and deployed at a later date. No notice of update to KitCAD i3 will be shown (release date of latest update will be 17th April 2010). Downloaded KitCAD i3 versions after the 22nd of April will include the updated files for Decimal Fraction support. The KitCADi3_file_localhost_test_w32_setup.exe (TEST Setup) has been updated to use JSON loading (instead of the 2007 KGC -> Active-X method ). Another change was to move the 3D preview/link page for HTML browsers (XHTML version was not altered). 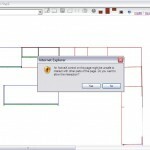 An affect of these changes for the KitCADi3ie5.exe TEST version is the Active X warnings have moved – allowing a Drawing to be displayed before the Active X prompts; The current known warning dialogs have moved from the inital program startup back into other parts of the program (if required by user). The only part causing file loads is the library system with interaction that will display Active-X warnings – which will be removed during possible future updates to the Library loading Systems (had to update Kp2html.exe first). The Current Library loading process that will generate an Active-X warning can be seen while showing the 3D preview webpage from within the KitCAD i3 webform Object editor iframe. And when a user Draws a Selected Object onto the KitCAD plan view. Both these user actions will currently display an Active X warning dialog. To alter a Drawing users will need to answer YES to the prompt for allowing the Active X to load KPD Object items onto the plan view (as described above). 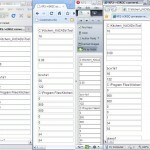 You are currently browsing the KitCAD – Developers blog weblog archives for April, 2010.